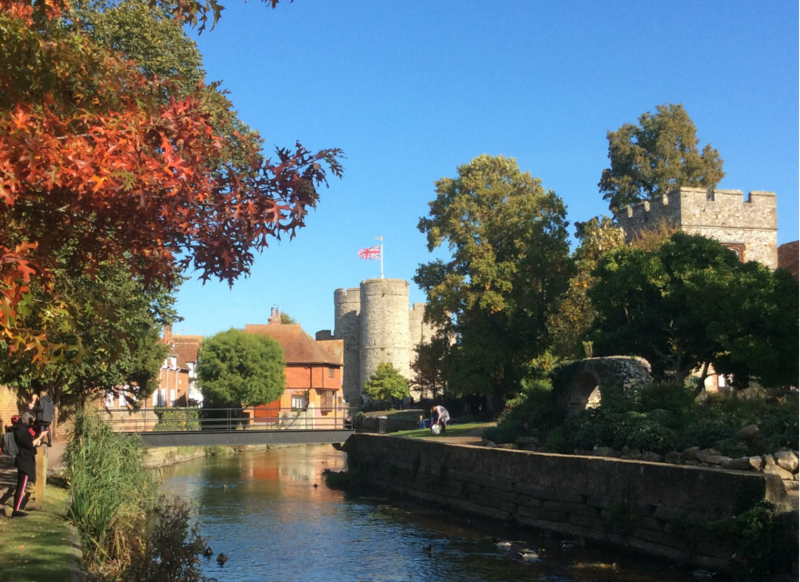 We look forward to welcoming you to Canterbury soon! 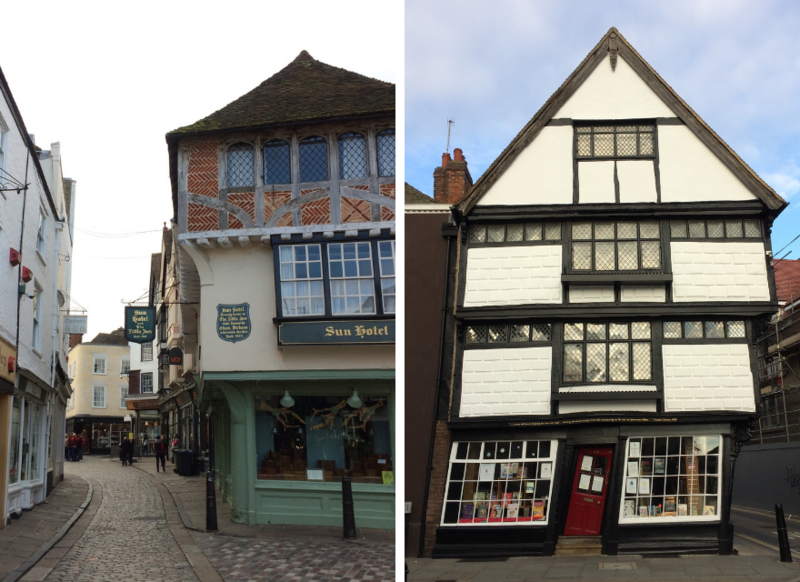 Join us on a walking tour of Canterbury to discover some of these sights and more! 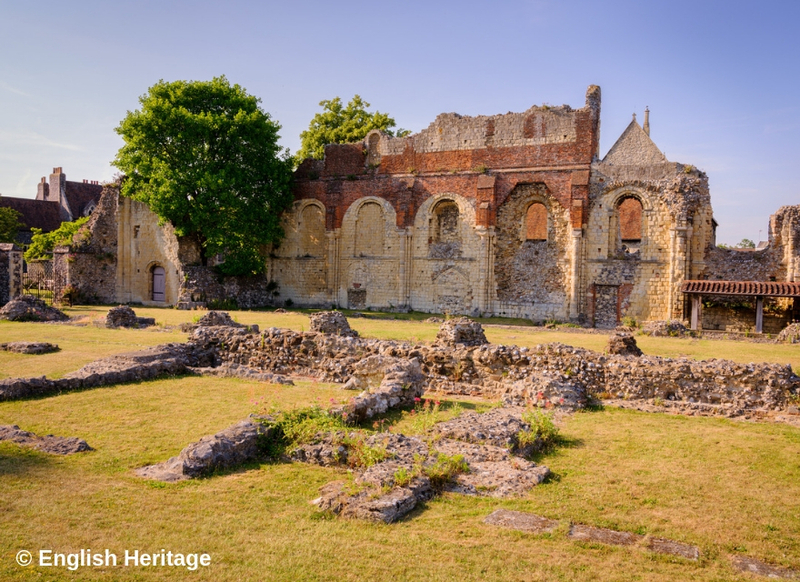 See the magnificent Canterbury Cathedral as our route takes you on a journey through the Cathedral Precincts and past ruins of the old monastery. Situated along Palace Street there are many historical timber-framed buildings. Don't miss the opportunity to photograph the locally named 'crooked house'. 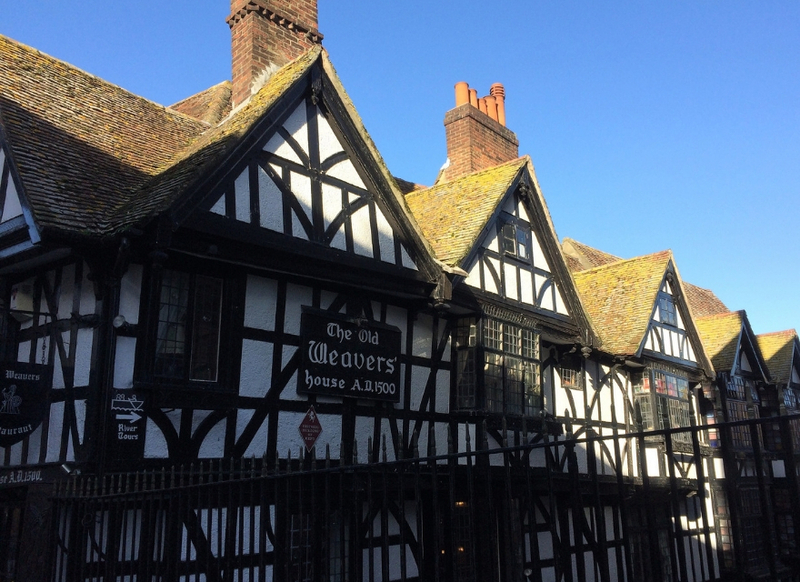 The Old Weavers' House, established 1500 AD, sits alongside the picturesque King's Bridge from where you can see the infamous ducking stool! 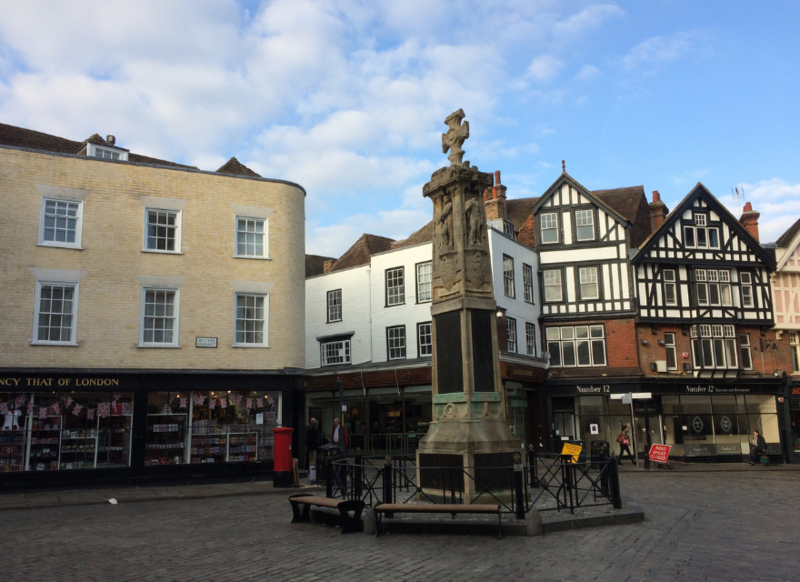 Site of historic pilgrim inns, the bull stake, a theatre and market hall, and home to the imposing Christ Church Gate entrance to the Cathedral. 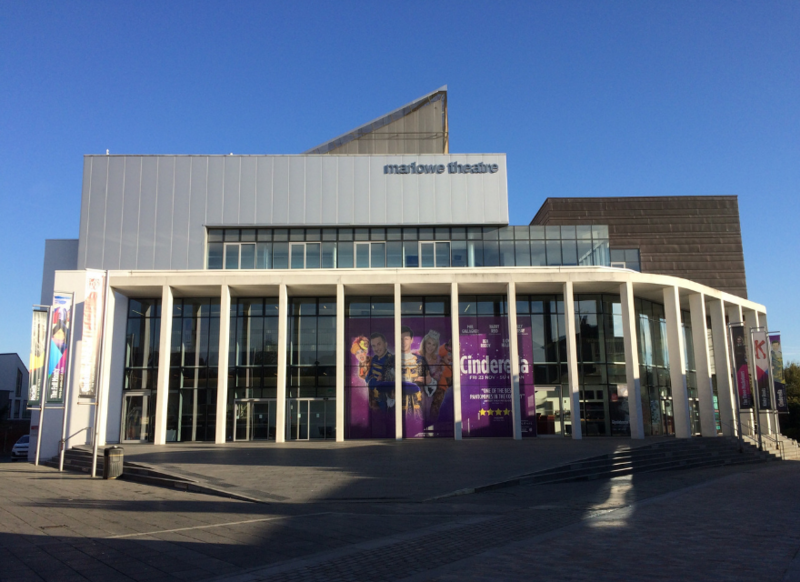 This modern theatre is named after the famous playwright Christopher Marlowe who was born in Canterbury. 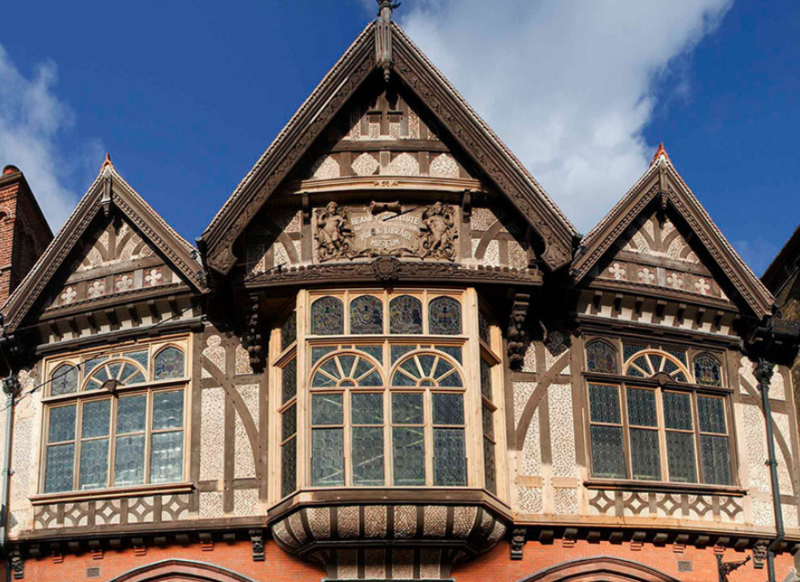 This striking building houses an art gallery, exhibitions, a library and the Visitor Information Centre. 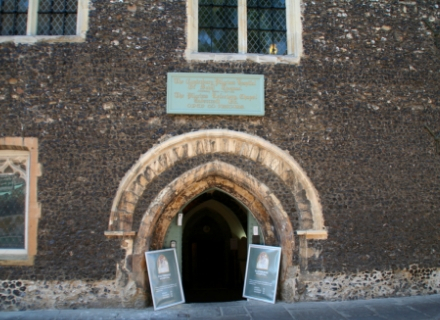 A place of hospitality for the Pilgrims since 1190, known as the Hospital of St. Thomas. Today it is a museum. A narrow, cobbled lane with a stunning view of the Cathedral's Bell Harry Tower. Also home to the The Roman Museum. 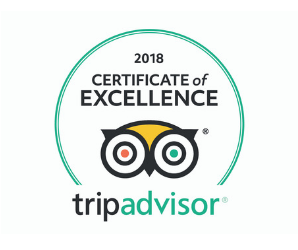 Please note tours may vary slightly as our fully qualified Green Badge Guides each adapt their tour to the group and conditions in the city. Our tours do not include entry to any attractions. For combined walking tour and attraction entry, please see our Extended Tours option below. 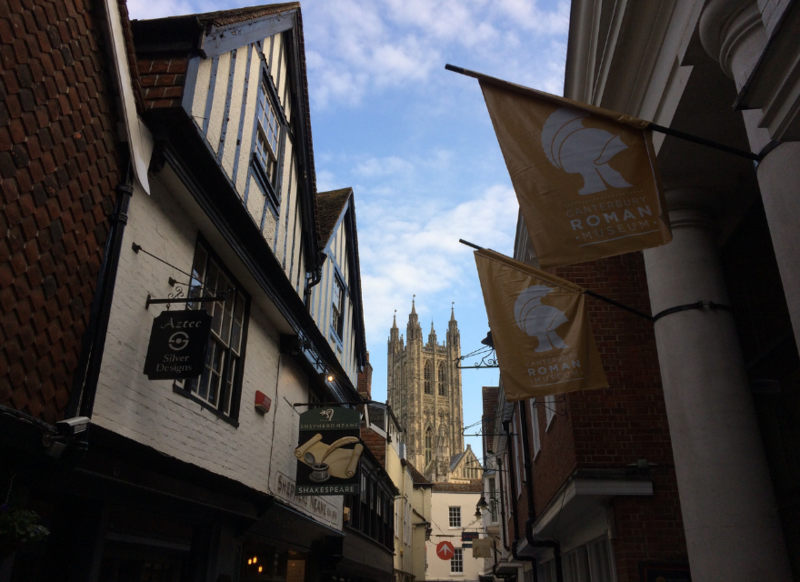 If you'd like to delve deeper into Canterbury's history or explore more of its fascinating sights, why not book an extended tour? 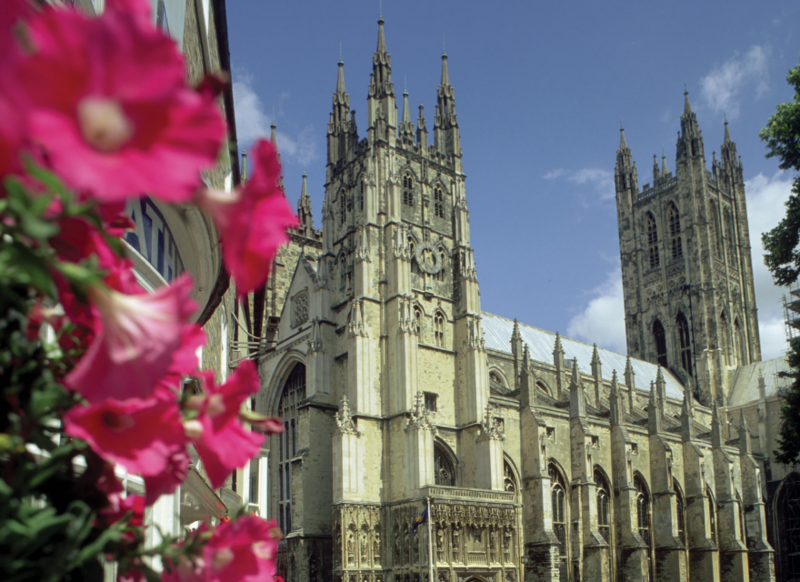 Extend your walk by up to an hour, or for in-depth tour, book our Guides for a half or full day tour of Canterbury. 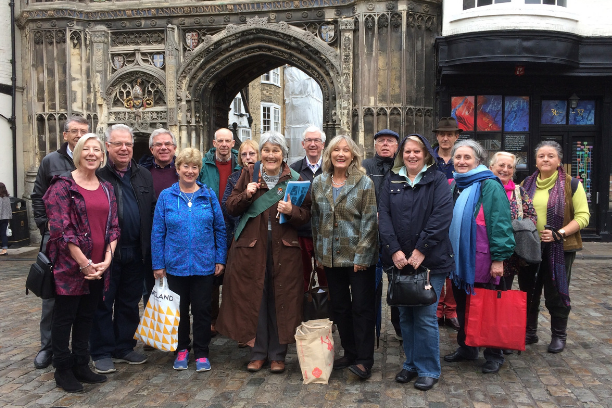 Guides can join you on your visit to other Canterbury attractions* to fit in with your group's itinerary. Contact us with your requirements and we can provide you with a quote. 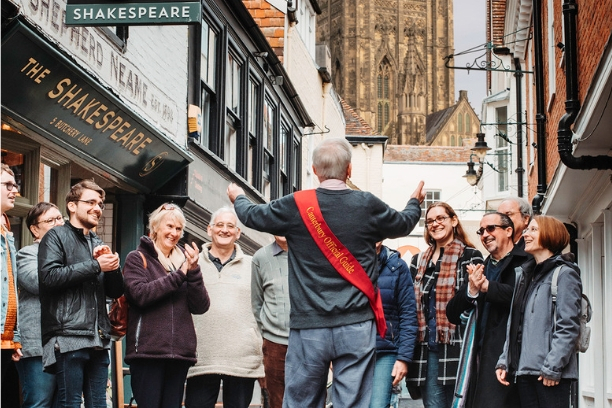 *Please note entrance fees are payable to many attractions and are the responsibility of the group; they are not included in the price of a guided tour, unless agreed upon and booked in advance. 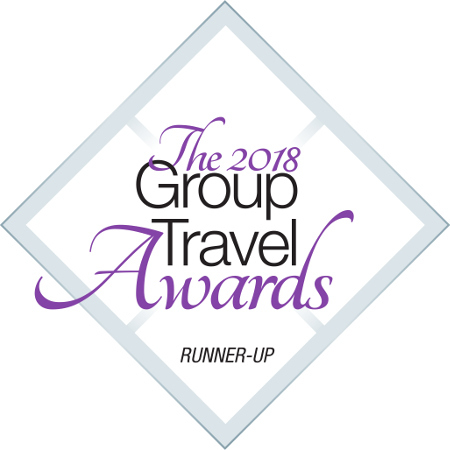 Use this option if you want to book for a small group of friends, family or club. 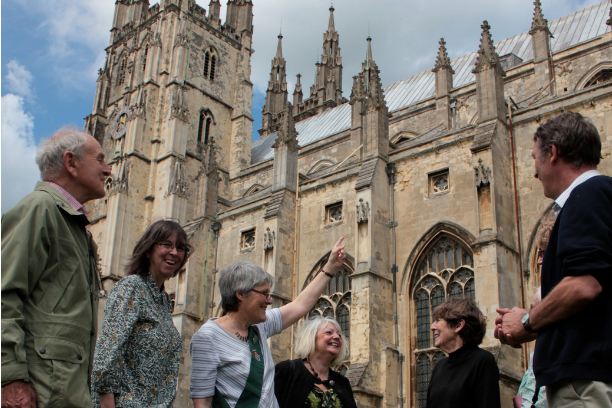 Book a discounted group tour for a school, business or organisation.